The insurance industry is most vulnerable to cyberattacks and today’s insurers consider data breaches and cyber security as one of the biggest challenges that the industry is facing today. Besides the common target for the hackers, insurance companies have multiple vulnerabilities, including—customer portals, credit card transactions, insider threats, and external hackers. It is not only a legal and regulatory risk, but a threat that must be managed to retain customers, profitability and protect executive careers. “Organizations are recognizing that the conventional security measures are not completely safe and are susceptible to new attacks, which might result into loss of protected data,” says Alan Kessler, President and CEO, Vormetric. Additionally, insurance companies need to update their data security with an enterprise-level solution that not only meets the most challenging compliance constraints, but also delivers true security from breach for all kinds of data, on multiple operating systems. At this juncture, San Jose-based Vormetric provides a data security platform with a single extensible framework for protecting data-at-rest under the diverse requirements of insurance companies across the broadest range of OS platforms, databases, cloud environments, and big data implementations. Built on an extensible infrastructure, the platform features several data security and encryption products that can be deployed individually, while offering efficient, centralized key management. Vormetric provides data security through its Vormetric Transparent Encryption offering that enables data-at-rest encryption, privileged user access control, and the collection of security intelligence logs without re-engineering applications, databases or infrastructure. For most use cases, the Transparent Encryption meets an enterprise’s security, contractual and compliance requirements. It applies encryption and access policies “transparently” to data at rest, of any file type and in any environment, at the file or volume level without requiring any application development and maintenance efforts. Furthermore, Vormetric Data Security Intelligence provides another level of protection from malicious insiders, privileged users, Advanced Persistent Threats (APTs), and other attacks by delivering the access pattern information that can identify an incident in progress. Vormetric security solutions are designed to help the organization to adhere to global compliance regimes with Payment Card Industry Data Security Standard, State Data Breach Notification Laws and National Data Protection and Privacy Laws. 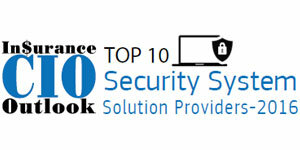 Since inception, Vormetric has successfully delivered the security requirements that its customers’ expect from them. For instance, one of their clients, an enterprise insurance company was concerned about protecting healthcare information and employee Personally Identifiable Information (PII). For this, they required data protection for database security, data segregation, contractual requirements, and legal application security. The firm implemented Vormetric Data Security to lock down their data with encryption, strong key management and security intelligence. It created strict access policies that ensured only authorized users to access sensitive information. Vormetric’s data strategy allowed the client to set controls around the data and examines controls from the inside out. It’s understood that innovation and replaceable technologies are the engines that drive consumer markets. “At Vormetric, we continue to focus on expanding the capabilities of the Vormetric Data Security Platform, so we can help customers address all their data-at-rest security or compliance use cases,” extols Kessler. For the future, the company is dedicated to deliver their next release of the Vormetric Data Security Platform in the first quarter of 2016. Additionally, the customers can deploy these enhancements without having to swap out hardware or disrupt their operations.